Since 1989, our customers have depended on Jimmi The Plumber for Des Plaines Illinois plumbing services. We pride ourselves in offering friendly, professional, expert service at a fair price. Our contractors have an extensive knowledge of Des Plaines plumbing. 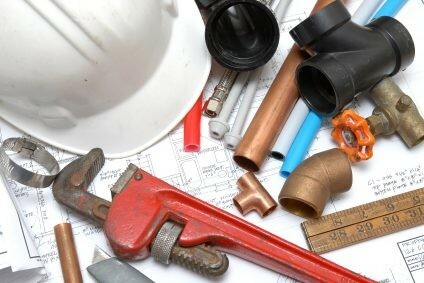 We are experienced at quickly and accurately diagnosing the plumbing problem in your Des Plaines home or business and coming up with a solid plan of attack. We then work with you around your schedule to thoroughly remediate the problem and get your plumbing functioning at 100% again. Jimmi The Plumber has expertise in all facets of plumbing. If you need to plumb your newly remodeled kitchen or bathroom or require new construction plumbing in Des Plaines, call Jimmi The Plumber for a fast, free quote. We can insulate your pipes for the winter, unclog your toilet or bathtub, or install a new faucet. We hope to build lasting relationships with our Des Plaines Illinois plumbing customers so we can help you every time your plumbing systems need repair or maintenance. We know our customers can't live without plumbing in Des Plaines, which is why we're available 24/7.When a plumbing disaster strikes, call Jimmi The Plumber any time! We make emergency plumbing house calls to Des Plaines all hours of the day and night. Just call Jimmi The Plumber anytime at (847) 584-3493 and we will be on our way to fulfill every Des Plaines Illinois plumbing need you have. 5★★★★★ - "I have used Jimmi's services three times and would call no one else at this point. He is knowledgeable, friendly, and a pleasure to work with. Service calls are prompt and everything is installed or fixed perfectly. His prices are the best in the area, much lower than the big guys. He takes the time to explain what needs to be done and nothing extra is sold unless I ask for it. I really appreciate having a good plumber I can trust and rely on. I highly recommend!" 5★★★★★ - "We noticed a lot of water leaking from under the kitchen sink at about midnight. I immediately feared frozen pipes due to the sub-zero temps. Shutting the valves under the sink did not stop the flow, so after shutting the water main, I did a quick search and called Jimmi The Plummer. He answered straight away and explained that because of the severe below-freezing temperatures, all his plumbers were out on service calls. The earliest he could get someone to me would be at about 5 AM. I went to sleep in my clothes so that I would be ready for any early morning arrival, but woke with the alarm at 7:30 am. I called Jimmi and told him that no one had arrived. He said that he would be there himself within the hour and explained that all crew were occupied the whole night. He arrived at the end of the hour window and assessed the nature of the leak, which fortunately was not a result of frozen pipes, but an old, brittle connection on the supply line. He said that he had to go and get the necessary replacement parts, and would return in about 20 minutes. He arrived back with all the necessary parts about an hour later and quickly and efficiently completed the work. I was very pleased with his service and professional attitude on the job. I understand that he had to come out on one of the coldest days of the winter when they were under a lot of pressure. I will definitely hire Jimmi again for any plumbing work in the future, based on the quality of his work and the very reasonable pricing - the two most important factors which result in repeat business." 5★★★★★ - "Jimmi gave a estimated arrival time between 9 and 10 am. Jimmi called that morning to inform me he had just picked up the water heater and was on his way. The old water heater in the basement had already been removed. The water heater is located in a very tight spot and required Jimmi to remove some ducting on the furnace. From Jimmi's arrival to the completion of the job was about 2 hours. Jimmi is very professional, polite and well dressed.....Ladies, NO PLUMBERS CRACK. Jimmi was willing to answer questions and took the time to explain what he was doing and give suggestions when needed." 5★★★★★ - "Jimmy has done work for our family for several years. He is always courteous and professional...Most importantly he does a good job! We had a backed up kitchen sink that leaked all the way to the basement. Jimmy and Scott replaced all the old pipes from the sink to the basement. They also repaired our bathroom tub faucet which was installed incorrectly by another plumber!..His prices are reasonable. What we like about him is that when you call, he responds right away!...Thanks Jimmy and Scott!" ★★★★★ - "What set Jimmy's Plumbing aside from other vendors dealing with my clogged main pipe was the powerful equipment they brought to do the job. This combined with the experienced staff (Daniel and assistant) removed a large quantity of tree roots. My pipe was rodded three times. I decided to have to have a camera probe put down my pipe to find out if there was a broken or cracked pipe. Very pleased with the pricing and service." "Where do I begin. My wife and I were distressed with a busted 40 gal water heater on the weekend. Can't wash dishes, can't wash clothes or anything that needed washing for that matter. I went online Google repair hot water heater and the first site that showed up was Fair Shake Plumbing. I had prayed about finding a good and honest plumber to help us with our repair and I believe God answered that prayer when He made me find that web site. I called Fair Shake and Jimmy answered the phone and the rest is history. He was willing to come out on the weekend for no extra charge and get me going unfortunately he did not have the tank I needed but he assured me he would get the job done as soon as he possibly could. Well Jimmy did just that first thing Monday morning he and Tony showed up and got to work. They even gave me a discount on the job for not being able to help me on the weekend, no who does that in these times. Well to make a long review short, Jimmy finished his job got us back to washing all that needed washing until I discovered a small leak on top of the heater. I had to promptly call Jimmy about the problem. Without hesitation or delay Jimmy left Rodgers Park and drove all the way back to Zion to make sure we had everything fixed the way it should be. Jimmy is really a great worker and truly a man of his word and a man of integrity. I would recommend if you not only want a good job done but you want and honest job done call Jimmy he'll make sure you are truly a satisfied customer." 5★★★★★ - "I needed the water hoses on my washer changed and was unable to do it myself as the fastenings were ‘frozen.’ I also had questions about various plumbing fixtures in the house–how long my hot water tank should last, e.g. Jimmy arrived promptly, changed the hoses, and courteously answered all my questions. His prices are reasonable.If you need a plumber, call Jimmy at Fair Shake Plumbing. You won’t be sorry." 5★★★★★ - "I used Jimmi The Plumber to install a water heater, garbage disposal, sub-pump, dishwasher and replacement of pipes under two sinks. His work was excellent! I would highly recommend Jimmi The Plumber. Professional work, reliable and excellent customer service skills." 5★★★★★ - "I have used Jimmy twice, I called him and he came as soon as he could. He corrected the problem both times. I would recommend him to all my friends." 5★★★★★ - "I ordered the $99 special and they came out on the date scheduled, rather promptly. When they came to my home, they noticed that my drain was in a crawl space and that the special rate was not for a crawl space drain. Nonetheless, they honored the price, recognizing that it was their fault but had to reschedule for the next day to have different equipment come out with two men. They came the next and performed the work. They did not find any issues with my drain. I would recommend them to my neighbors." 5★★★★★ - "They inspected and drained the water heater and routed the line from the house to the street. They also unclogged a stopped up drain and changed out the water main turnoff valve. Jimmi was very professional and responsive. I liked that they called whenever there were changes in plans and kept me informed. This doesn't happen very often in the trades and it was a pleasant surprise." 5★★★★★ - "It was an Angie's List package deal so it was cheap. It was great. He came out shortly after I purchased the deal. He figured out the problem and fixed it. He didn't try to sell me stuff that I didn't need." 5★★★★★ - "I used a special offer advertised on Angie's List for a sump pump maintenance check. Jimmy came by yesterday, diagnosed the problem, and came back today with the necessary equipment and in less than an hour made the repair, and provided some suggestions to deal with future drainage issues. He and his crew were polite, called a half hour before arriving and arrived promptly. I would not hesitate to use his plumbing services again. Extremely professional." 5★★★★★ - "Our tub was not draining properly. We canceled last minute because everything started working after we applied drain-o overnight. They were extremely polite and understanding. They were quick to respond and I felt they were concerned about our issue." 5★★★★★ - "Very informative, and shared their knowledge. They came and got the job done with professional, actually they worked like champs! Both Jack and Daniel (What a dual) knew what the problem was and solved the issue quick. JOB WELL DONE!! I'll be calling these guys again." "Jimmi was prompt and courteous, he was also very knowledgeable. He identified the problem immediately and fixed it. We were very grateful that he was wiling to come out on a Saturday and not charge us an additional fee for working on a weekend. Although, we were surprised when he told us the coupon we bought on Angie's List for 2 hours of labor, was actually 1 hour because he charged us for the hour that he had to travel to get from his office to our home, this was not clear in the coupon." 5★★★★★ - "Jimmy the Plummer, arrived on time. He put on protective foot coverings before entering the house. When showing him the clogged sink he explained the problem and in detail went over several alternatives providing the pros and cons and the price of each solution. There was no pressure to choose any alternative. Once the alternative was decided, James while completing the job, made sure the area remained clean, keeping a messy job to a minimum. Took care of his tools not to damage the floor. The area was left clean when he finished. Since I also needed the outside faucet to be replaced, James had to return the next day since he did not have the proper faucet and needed assistance to replace the faucet where the inside connection was located. He advised to be back the next day around 9:30. Again he arrived on time with Greg to assist him. Both put on protective foot coverings before entering the house. again both showed courtesy through the process. As before the area was left clean. Looking at the repair and replacement of the outside faucet I was impressed by the neat and proper work that I would expect from a professional Plummer. Both these gentlemen showed me both courtesy and professionalism. I would highly recommend them to anyone and gladly call them again for my pluming needs." 5★★★★★ - "Both Daniel and Jack were very professional and polite." "Daniel and Jack arrived almost exactly at the scheduled appointment time. The were incredibly friendly and knowledgeable. I would definitely use them again for a plumbing job and recommend them to others." "Jimmy was polite and very nice on the phone. He gave a good price and told me he would have a plumber at my house at 8am on Sunday. Called at 8:45am and 10:30am because no one had showed. Left a voice mail both times. Called on Tuesday and Jimmy explained that he was unaware that my plumber no-showed. Jimmy came out himself within 20 minutes, fixed the problem, and gave us a discount for the trouble. Mistakes happen, but what matters is that he fixed it right away. I will use him again. He was pleasant and has the best prices around." "Fairshake plumbing was recommended to me when my sink was clogged and the P trap was corroded. They came to fix it quickly and even got the part at no cost. Friendly and affordable service." "Jimmy came out the same day I called and was courteous, neat, and had my drain cleared out in just a few minutes. Best of all, he was honest and his price was fair! Highly recommended!" "Jimmy, the owners, is a very professional and responsive provider. I called him in a pinch, when there was a lot of flooding in the area. He and his crew were out to my home immediately and did a fantastic job. If you need a plumber, call this guy!" "Good plumber came out repair my sewer drain. Did nice work and price was lower then two plumbers I called before fairshake plumbing. These guys are the best. So call fairshake plumbing"
5★★★★★ - "Jimmie and Tony came to our Chicago condo and fixed my neighbor's leak that was dripping down two floors. They got the job finished in less than an hour at a reasonable fee." 5★★★★★ - "After getting a ridiculously high bid for some minor bathroom leaks from another plumber, I called Fair Shake Plumbing. Jimmy was very helpful and courteous, and let me know upfront what the cost would be. Jimmy’s quote was almost TWO-THIRDS LESS than the other quote. He arrived exactly on time, and took the time to explain what he was doing to make the repair. Not only would I use Fair Shake Plumbing again, but I will also recommend his services to all of my friends and neighbors. Superb service at a reasonable price!" 5★★★★★ - "Made an emergency call on Father's Day and was able to help us save the day. Very knowledgeable and friendly." 5★★★★★ - "Jimmi did a great job! He finished the job quickly and showed me how to fix the problem just in case it happened again. The price was great too! Thank you, Mr. Jimmi"
5★★★★★ - "I highly recommend Jimmi the Plumber! He was very honest and did a great job and cleaned up afterwards. He actually charged me much less than I was quoted and that has never ever happen to me in my 53 years! You'll like and trust him the minute you meet him. I even asked for some business cards so I can pass on to friends and family! My wife and I were extremely happly all around! 5★★★★★ - "Jimmi is a true professional that delivered impeccable work. Our new water heater is fantastic. Thank you Jimmi !" 5★★★★★ - "Pleasantly surprised by the fair, honest and QUICK service. Jimmi was great and I would absolutely recommend them!! Replaced parts on my water heater without trying to upsell or over complicate anything." 5★★★★★ - "Jimmi came out to replace my well pump, in pouring rain, nonetheless, and did a great job. I ended up having electrical issues in my 1973 home at the same time and Jimmi and Scott traced down the problem and fixed it. Two great guys and both very experienced and knowledgeable at what they do. I will recommend them to family and friends and use them again." 5★★★★★ - "Our well pump stopped at 5pm on a Sunday night and Jimmy came out within the hour to diagnose and came back the next day to get it fixed. He did a great job and even taught us more about our well." 5★★★★★ - "My dads water heater broke. Jimmy was able to get out there within the same day to replace and repair. He also went above and beyond to help my dad with additional service. Great experience. Would use again!" 5 ★★★★★ - "Jimmy was knowledgeable, friendly and professional. He turned up when he said he would, fixed the problems I needed fixing and charged the reasonable price he quoted on the phone. Would happily use him again." 5 ★★★★★ - "I had a service from him where he replaced my hot water tank that was in my crawl space that no one else wanted to do. He did an excellent job and even made a couple adjustments ." 5 ★★★★★ - "Jimmi came out installed a new water heater. Very professional and very clean and completed the work in a timely manner. I will recommend him to all my family and friends." 5 ★★★★★ - "We had an emergency with backup during a heavy rain, could not run water in any of our sinks or bathrooms. I was fortunate enough to reach Jimmy by phone as he was returning from a job. He agreed to have a look, and arrived an hour later. An hour after that he had identified the problem and cleared a blocked drain so we could stay in the house and function again. He explained what needed to be done to prevent future such problems, and I had him do that work. While doing that, he discovered and retrieved a back flow valve I had installed years ago, and that had broken off and lodged in the drain. If he had not done that, we would no doubt soon have had another blocked drain. I have arranged to have Jimmy check my sewer system yearly; and will call for any plumbing problems and hope I can reach him." 5 ★★★★★ - "Yesterday we had to call a plumber out cause we couldn't get the water to turn off after taking a shower. I called at 7pm and by 9pm Jimmy came out and repaired the problem and for a good price. We have other plumbing jobs needed around our house and we will be calling back to schedule soon. Thank you so much for fast and reliable service." 5★★★★★ - "I would recommend Jimmy to anyone and everyone! He installed a new sump pump this past spring and the service was excellent and at a very fair price. Recently I noticed the sump pump was not behaving the way it used to I called and he came out to check it the same day. It turns out we had a clog in the line. It was full of leaves. He cleared the clog and and everything is working as it should now. It took about 15 minutes and he didn't charge me at all. I mean, where do you find this sort of service today? Jimmy The Plumber that's where! Thank you!" 5★★★★★ - "Jimmi was fantastic. He drove 30 minutes at 7:30 PM to do a very quick job for us when we really needed it. He was professional, friendly, and really knowledgeable. We would highly recommend him to anyone and will go back to Jimmi for our future plumbing requests." 5★★★★★ - "We needed a plumber at the last minute. After calling five plumbers and being completely dissatisfied by either poor customer service or extremely high costs, we were pleasantly surprised by the response from Jimmy. He came out the next day and was able to solve our plumbing problems at an extremely reasonable price. His knowledge and professionalism are first rate and we will be using him again for our plumbing needs. We are in the middle of a bathroom remodel and our builders were so pleased with his work that they took his number, too!" 5★★★★★ - "Did work immediately. Told me when he would be there. Cleaned up everything when they were done. They are awesome!" 5★★★★★ - "Last Friday we were having a major problem with our toliet it was leaking in the basement to where it was soaking the entire basement we called Jimmy on Friday and they said they would try to squeeze us in on Saturday they saw us on Saturday and we found out we had blockage in our drain which was preventing any waste to go through. They originally had said they couldn't come out til Wednesday but Jimmy said he was going to leave us hanging and came the next day and finished the job. All I can say is WOW what great service this guy is the true defenition of fair and he treats his customers like a customer not just another job or paycheck. He worked with us on the price which roto rooter would of charged 4600 dollars for he did for 1800. I will recommend this company to everyone I see. Thank you so much jimmy and crew you guys are the best!" "My situation was fairly simple, I needed someone to install a garbage disposal on short notice. Jim at 'Fair Shake Plumbing' was extremely helpful and was able to respond & intall the disposal without complications. If your looking for a reliable plumbing service for emergencies...I would look no further." "O. Houston--I needed a new 40 gal. hot water heater. I researched on line then contacted many plumbing companys. I was quoted prices that ranged from being very expensive to absolutely ridiculous! In an attempt to avoid be 'ripped-off' I considered buying the unit from a local big box store then hiring a plumber to do just the installation. Installation only was $500.00 - $757.00! Finally I contacted Fair Shake Plumbing. The owner Jimmy and his assistant Tony meet with me at my home. They were ON TIME and ddin't keep me waiting. They arrived in a well equipped truck which seemed to be ready for any job. Both men were presentable and maintained professionalism. Jimmy provided me with the most thorough and professional explanation I had heard yet. Jimmy was up-front with me. Obviously an honest business man. I purchased the new unit from him and hired him to install. Fair Shake Plumbing did quick and accurate work. They were as neat as could be expected and willing to clean up after themselves. Fair Shake Plumbing's price saved me hundreds over the so-called competion! I will have them back again.... Any company's worth is measured by it's Product-Work-People. Fair Shake Plumbing is A+ in every category!" "Jimmy came out on Sunday morning of Labor Day weekend because my ejector pump had backed up. He charged us very a reasonable rate for off hours on a holiday weekend. He was kind and courteous and took care of the problem right away. I hope I don't need a plumber again, but if I do, I'm calling Jimmy!" 5★★★★★ - "Incredible work and PERFORMANCE! Clean work,nice guys and most of all...a real fair price.I made the mistake of calling Roto-Rooter first...never again! Jim and his guys are GREAT! Super fare prices...66% cheaper from other estimates! I will spread the word about his services and will be back for regular maintenance! I will never deal with anyone else but FAIR SHAKE PLUMBING AND SEWER! Jim at my house 1 hour after I called him...HE KNOWS WHAT HE'S DOING!" "Jim and his guys came out and gave me a fair deal. When It turned out I had a hole in my ejector pump he cut me a good deal on a new one. As long as it works better than the old one I highly recommend this company. I feel i got a fair "handshake". "Best price and very good service. On time. Installed new water heater for me on sunday with no over time. They are the best." 5★★★★★ - "Came out Sat night and unclogged my drain, no service charge and no over time rate. I highly recommend." "I needed help on closing on a foreclosure house with water leakage. Jimmy the Plumber came at 7:30 PM for the purpose of inspection but ended up fixing the problem on the spot. He had to cut open the walls, remove a toilet, a sink and shower faucets. Jimmy worked till midnight and came back the next day to finish the job. Jimmy can tell most accurately what the problem is and how much its going to cost." 5★★★★★ - "This morning while I was in the shower, I noticed that the toilet was gurgling loudly. When I got out of the shower the toilet was full almost to the brim with water. I turned the water supply off to the toilet and bailed out the clean water. I left it alone for the rest of the day. When I returned home I called Jimmy at Fair Shake Plumbing. I told him that I thought I had a clog in the main line and asked him to come over and take a look at it. He told me that it might have been a back up from the storm drain, due to all of the rain we had last night. He told me to try something before he came over, so I could avoid a service call fee. He told me to turn the water supply back on to the toilet and see if it would flush normally now. Also he said to run the water in the shower to see if it still gurgled. It flushed normally and did not gurgle when the shower was on! I was relieved. He didn’t charge anything for the phone call and I really appreciated his knowledge and advice. I really appreciate that he didn’t come over just to collect a service call fee. He is honest and that is so rare in today’s society. I am grateful. Jimmy is wonderful! I would recommend him to everyone." 5★★★★★ - "My kitchen sink a year ago became clogged because the former owners would pour grease and such down the garbage disposal. Needless to say we called the BIG NAME in Chicago, but they ended up staying for two & a half hours & charging us an arm & a leg. The day after this past Christmas, it had become clogged again (because my visiting mother -in-law had poured who knows what down the disposal) and I typed in plumber under Google search. Fair Shake Plumbing are the only ones that had all 5 stars & rave reviews. Not to mention, the people that reviewed them said their prices were well below average & they stuck to their estimates. Not only were all the reviews correct, but they customer service was astounding! I had called and within the hour Jimmy was there & shortly after he was done….no dilly dallying just so he could charge more per hour! He was friendly & explained everything thoroughly, along with cleaning up after himself & being as quiet as possible during the process since he knew I had a newborn in the house! After using them, I had spoken to a bunch of my friends & a number of them had used and highly recommended them!" 5★★★★★ - "Jimmy is great!! He squeezed me in the day after I called him because my pipe was leaking badly. When I talked on the phone to set up the appointment, he made sure I knew how to turn the water off and on (when needed) to keep from wasting water and flooding my crawl space until it could be repaired. When they arrived, they analyzed the problem and repaired it in record time and even found time to replace my kitchen sink hose. I think the price was very reasonable, based on my last two plumbing experiences (one of which was a nightmare!!). I am so glad I FINALLY found a plumbing company I can trust (after 22 years of living in this house!). Very professional and friendly service. Thanks and kudos to Jimmy with Fair Shake Plumbing." 5★★★★★ - "Jimmy came over within two hours of my phone call this morning. He told me what my options were and we went from there. Even though he had to cut a hole into the wall, his work was very neat and professional. I would definitely call him if I ever had another problem." 5★★★★★ - "Professionalism, punctuality, integrity, fairly-priced…..those and many more positive traits describe Fair Shake Plumbing. Jimmy replaced a water heater at my house. Impressed with his super work, I also had him repair items in three bathrooms of a professional building I use. Equally outstanding. You can’t do better than Fair Shake Plumbing!"